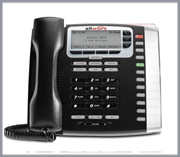 Featured Systems - JHB Telephony Services Inc.
Tampa Bay Area customers find the Allworx 6 to be simply the best, most feature rich, sophisticated phone system on the market today! Features include call handling – auto attendants, voicemail, ring groups, connect anywhere extensions, direct transfer to mobile phones and much more! Allworx phone systems offer free lifetime software upgrades possibly making this the last phone system your business will ever need! Add 1 year software only extended warranty for just $250 and get 50% off shipping. The ACD feature allows callers be parked automatically then routed to the next person available to take their call! 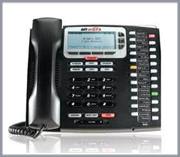 Great for medical offices, law practices, insurance agencies, realtors and similar offices that have a high volume of incoming call traffic. Are you interested in finding out more about a specific product? Please fill out the form below so we can help.